Hello! My name is Patterson. I am an incredibly handsome, large, jet black, neutered lop boy. I am really an exquisite looking bunny. I'm nice, too! I was adopted and then returned to the city shelter when my family moved away. I REALLY miss having a family to love me. 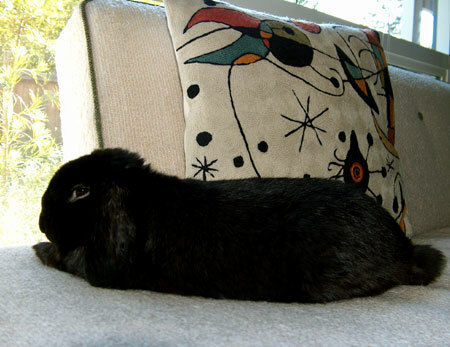 I want to be a house rabbit again and relax on the sofa. I'm a great rabbit with a lot of love to share.